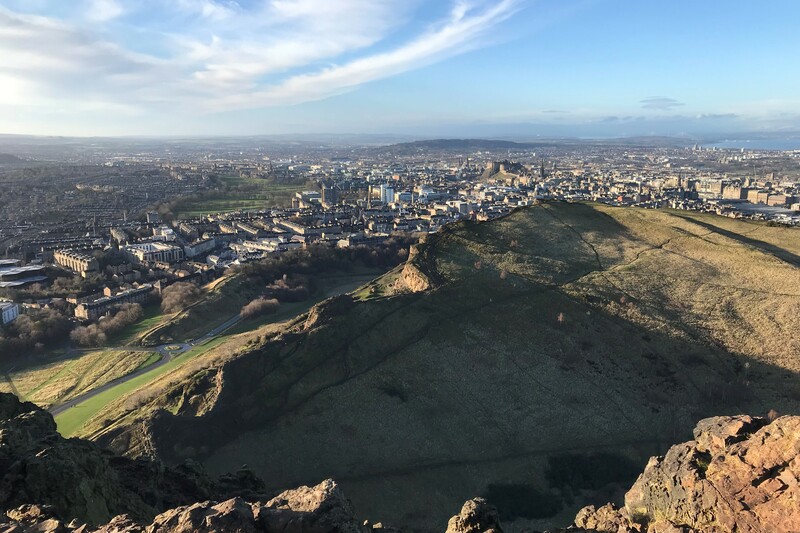 Kate (ESR5), Ricarda (ESR9) and Maarten (ESR10) participated at the British Sedimentological Research Group Annual Group Meeting (BSRG AGM 2018), which was held the 19th and 20th of December 2018 in Edinburgh, United Kingdom. 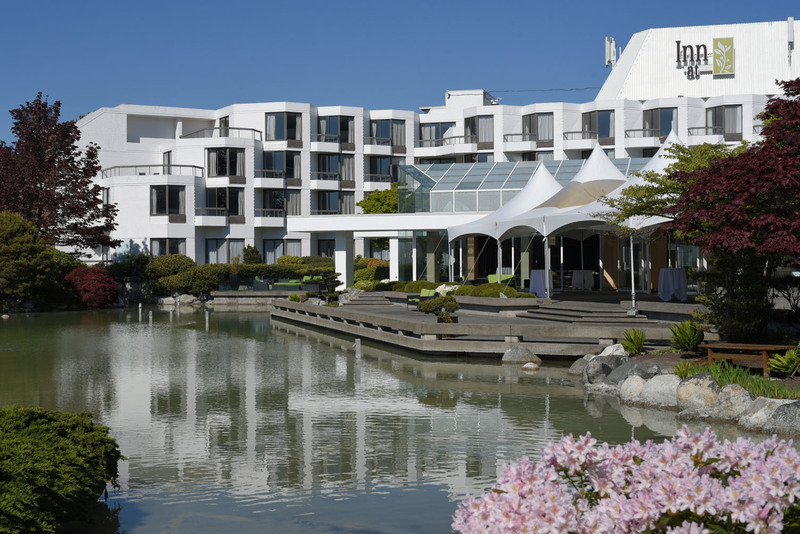 Read about their experiences of this conference here! 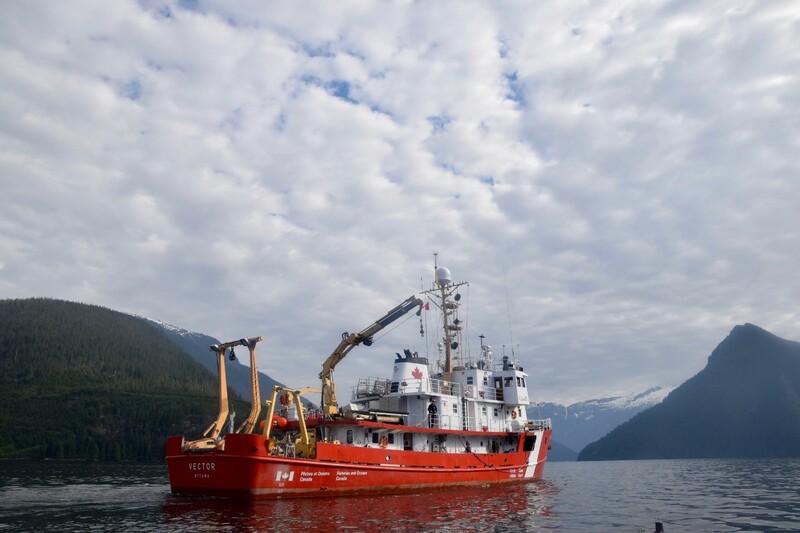 Maarten participated on the second part of a set of two research cruises to Bute Inlet, British Columbia, Canada on the CCGS Vector. Maarten studies real-time turbidity currents, a type of submarine flow that can be the result of landslides, that occur on the bottom of this fjord. 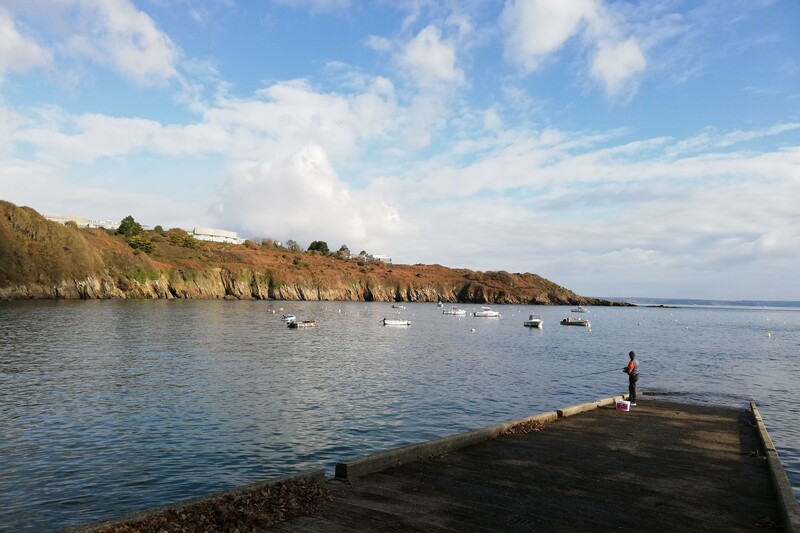 In late October 2018, Ting-Wei (ESR7) visited IFREMER in Brest, France to do dynamic triaxial experiments on Ottawa Sand to assess her research topic of seismic strengthening. Communication and networking is important to advance scientific results. 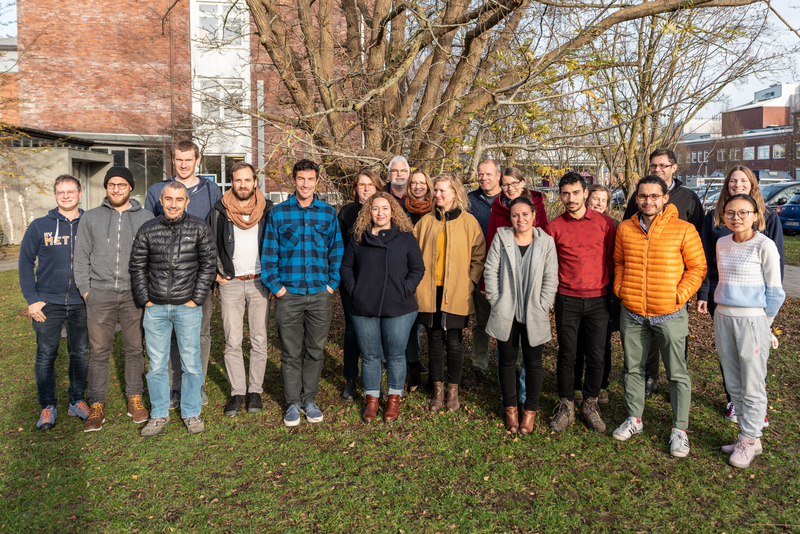 On this account, researchers have gathered in Kiel to discuss newest developments concernig the Tuaheni landslide complex. Here, Monika reports on her participation in this workshop. Beside studying the submarine environment in a variety of ways, we all have been relocated as part of the EU programme. We live in countries we have not lived in before for extended amounts of time. So, besides the science side of our PhDs, we also get to explore and discover new countries and their cultures! are we aware of the risks? Natural hazards linked to earthquakes, landslides and tsunamis are not uniformly distributed around the globe – and thus are perceived rather differently by people. Ting-Wei (ESR 7) addresses this issue from a Taiwanese point of view to raise the public awareness of the relevance of hazard studies. Graduate schools can provide PhD students valuable support in a variety of ways. 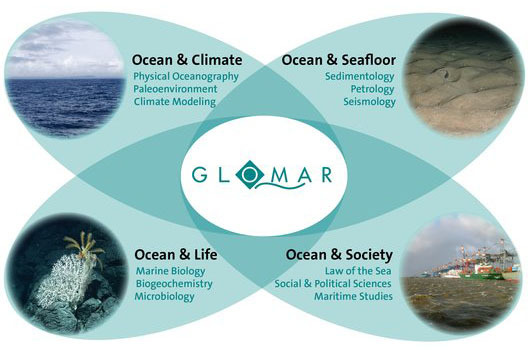 In this blog, Ting-Wei (ESR 7), Ricarda (ESR 9) and Monika (ESR 11) introduce GLOMAR, the international graduate school for marine sciences in Bremen. Read more about networking opportunities, seminars and offered courses! On September 28, a severe earthquake (7.5 Mw) and tsunami hit Sulawesi, Indonesia, claiming more than 2000 lives. Davide (ESR 6) and William (ESR12) give a detailed overview of this series of cascading natural disasters, present a scientific view on the events and discuss the lessons we can learn for early-warning systems. 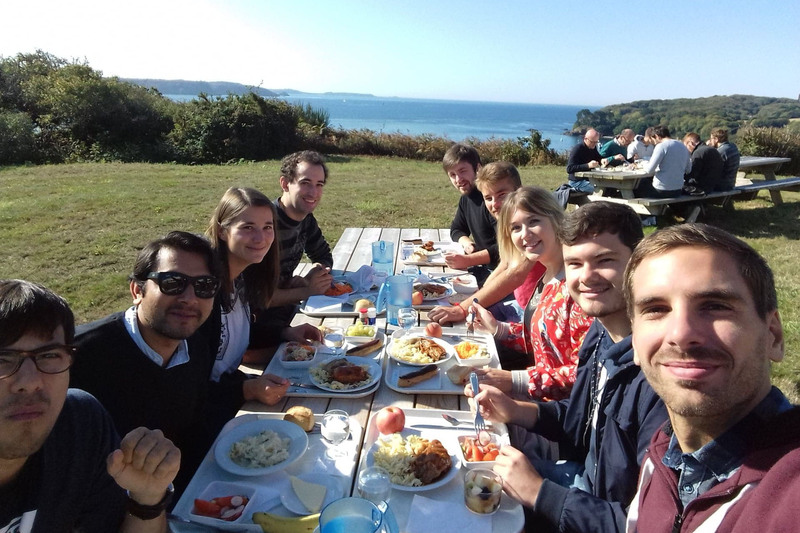 In early October, Tugdual (ESR 3) went on a secondment to IFREMER in Brest, France, in order to perform grain size analysis of the sortable silt fraction (10-63 µm) on two 9 and 11 m long piston cores. 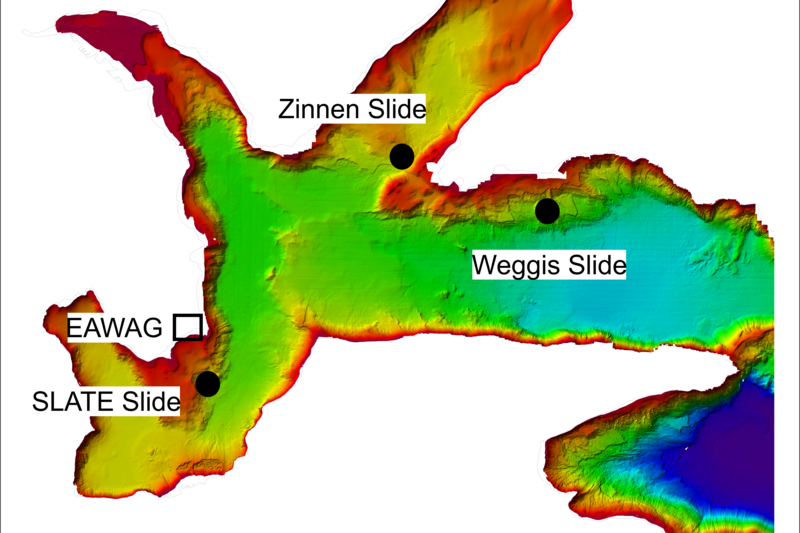 The analyses should help to shed light on present and past bottom-currents at the Gela Basin offshore Sicily. Being a scientist does not only mean doing hard science everyday - it also requires presenting it to the public. 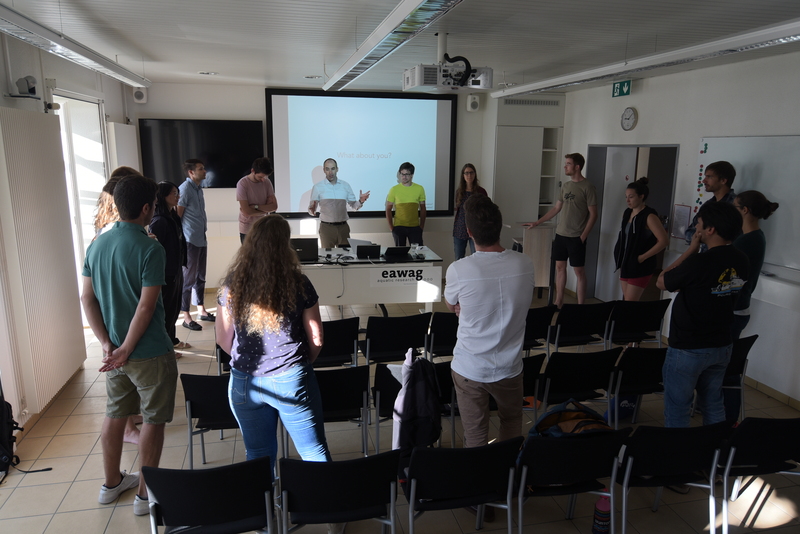 In this third post in the 'Lake Lucerne Workshop' series Jonny (ESR2), Monika (ESR11) and Will (ESR12) share their experience of the expert courses on science communication. 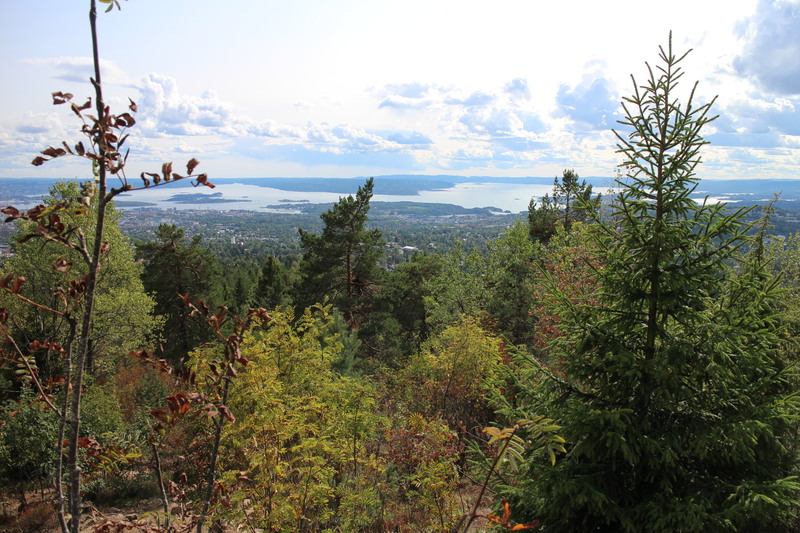 Rachel (SLATE ESR 1) visited VBPR in Oslo from 27-31 August 2018 to begin working on a high-resolution 3D seismic data from the headwall region of the Tampen Slide, offshore of Norway, which was recently collected by TGS. During our 2nd annual workshop, the ESRs investigated three different landslide events at Lake Lucerne, Switzerland. 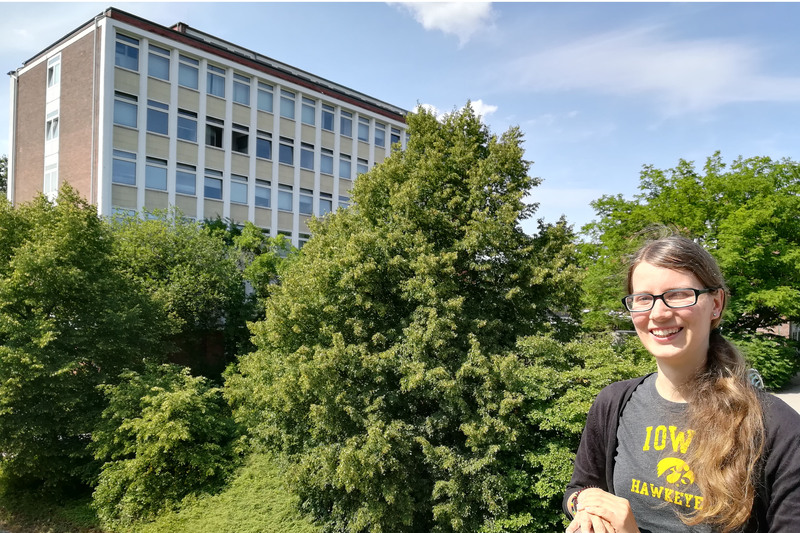 In the second blog of the ‘Lake Lucerne Workshop’ series Rachel (ESR1), Thomas (ESR13) and Matthias (ESR14) share their experience on project planning as well as mapping, coring and analysing the data. why do we actually meet? What happens behind the curtain at an annual SLATE workshop? 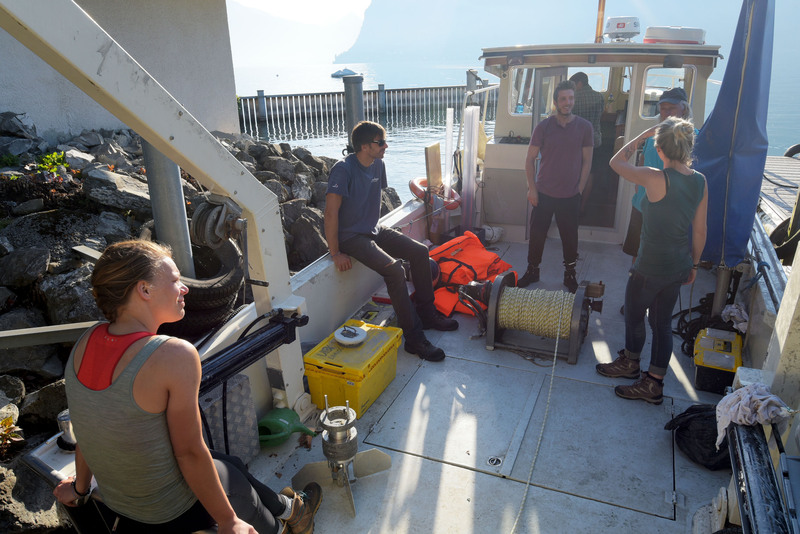 Starting off a series of blog posts on the recent gathering at Lake Lucerne, Kate (ESR5) and Stefano (ESR8) not only provide insight regarding the scientific activities, but as well point out additional benefits of such an event for the ESR students. The 2nd Annual SLATE Workshop took the participants to the EAWAG Kastanienbaum at the shore of Lake Lucerne in Switzerland (9-16 September 2018). A 2-day technical workshop introduced the ESRs to various aspects of on- and offshore mass movements, earthquake-triggered landslides, mass-movement triggered tsunami and their deposits. 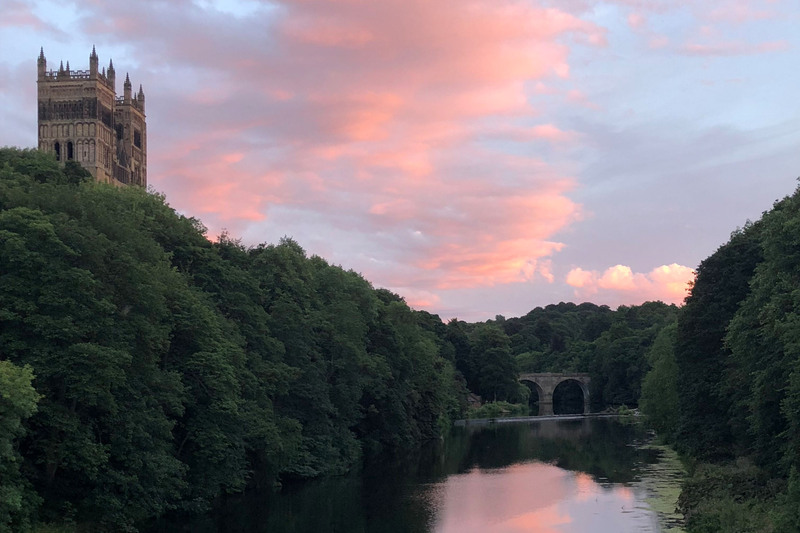 In order to broaden his sedimentological skillset outside of his own PhD project, Maarten took the opportunity to attend the “Sandstone Petrography and Diagenesis” workshop offered by the British Sedimentological Research Group (BSRG) at the University of Liverpool. 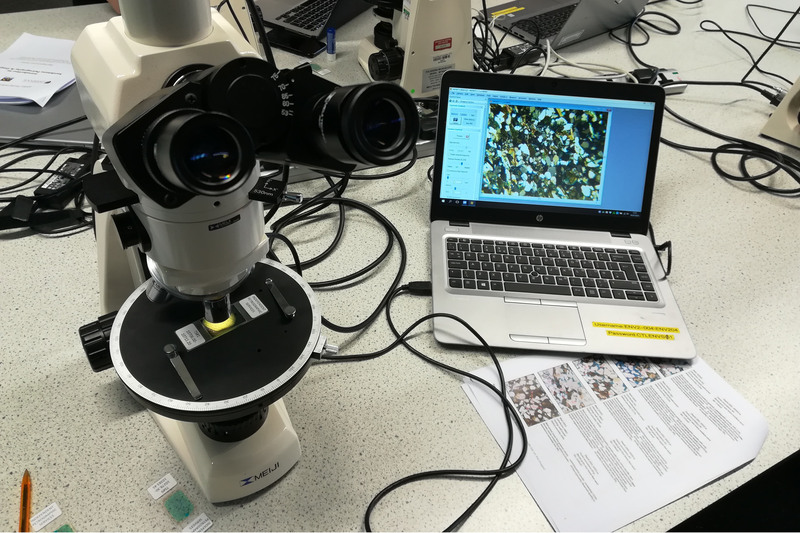 Read more about his experience in microscopically analysing sandstones. 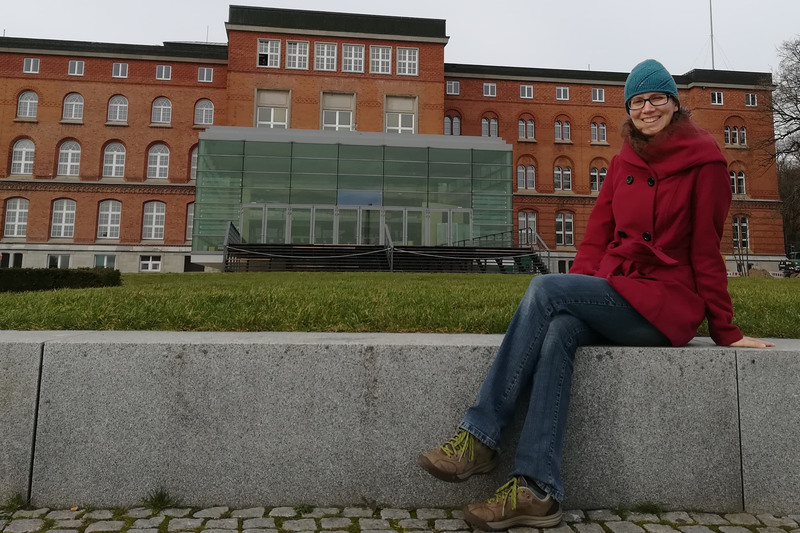 In order to discuss the modelling results of gas flow in a porous medium acquired during her recent stay at Migris AS in Trondheim, Monika conducted a short research stay at the CAU in Kiel – helping her to improve previous interpretations and to adequately represent gas flow in her landslide model. 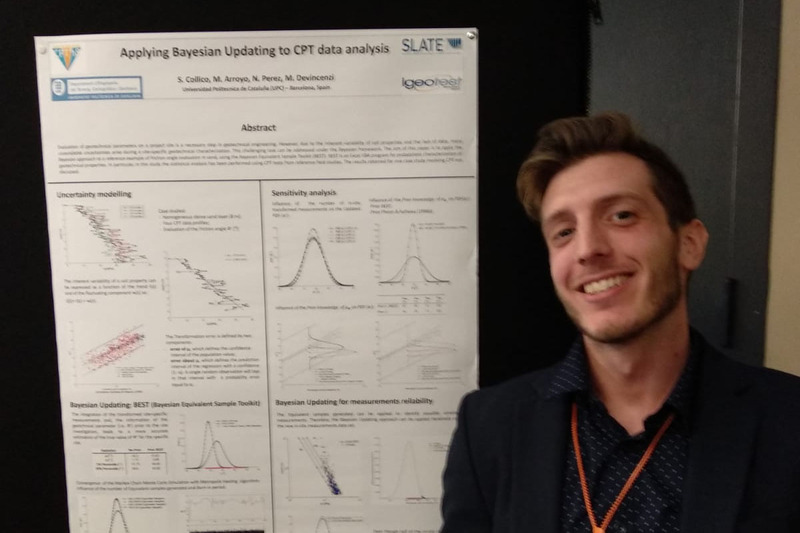 Stefano recently attended the 4th International Symposium on Cone Penetration Testing (CPT18) at Delft University of Technology in the Netherlands. Here he is sharing a review about the conference in general and his scientific contribution to this event, an application of the Bayesian approach to the friction angle evaluation in sand! 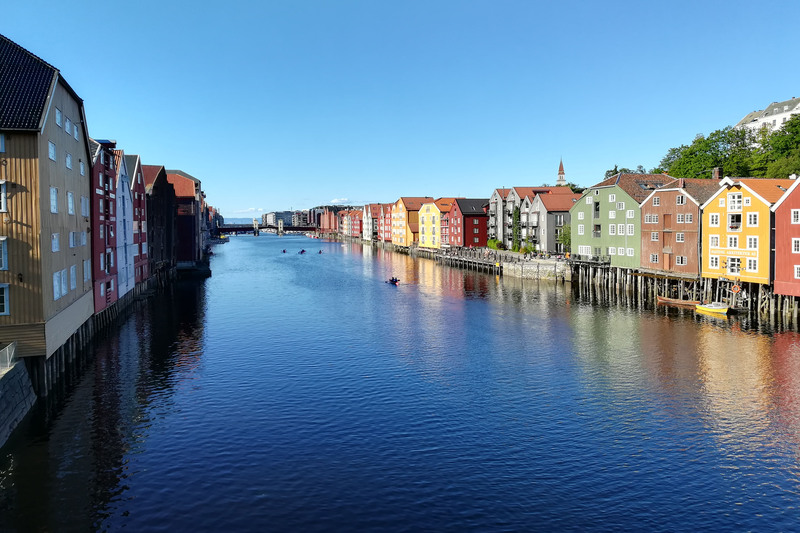 With the aim of simulating migration of free gas within the Tuaheni Landslide Complex offshore New Zealand, Monika recently conducted a research stay at Migris AS in Trondheim, Norway. The results serve as input data for a geomechanical model investigating slope stability for different scenarios. 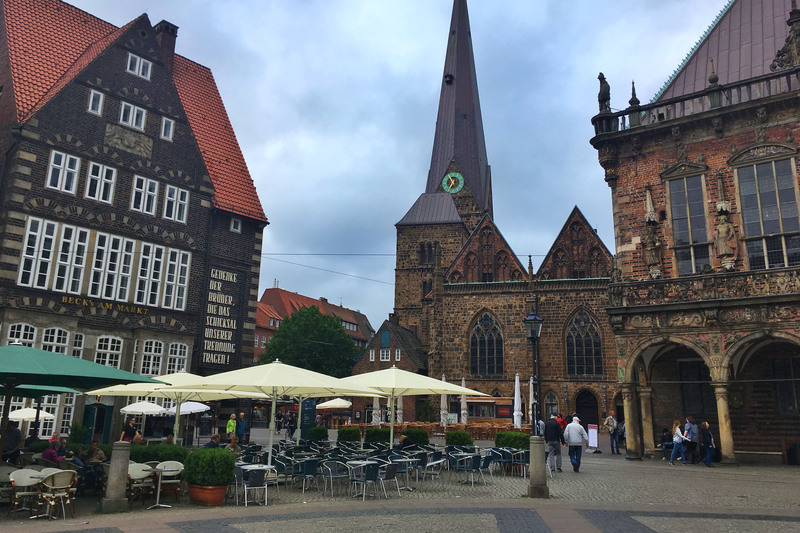 Maddalena just returned from the first part of her secondment at MARUM, Bremen. 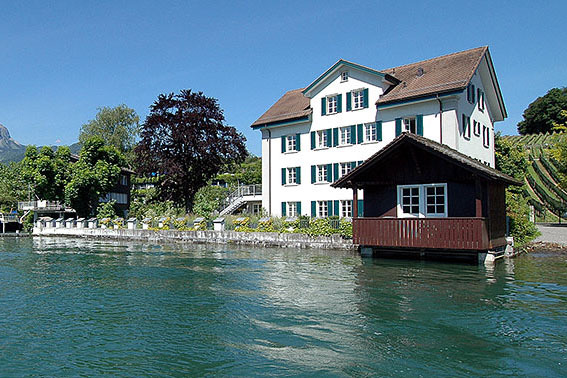 During her week-long stay under the supervision of Dr. Sylvia Stegmann, she processed and interpreted CPT data from the recent SNF Sinergia Project campaign at Lake Lucerne. Read more about it in tihis report! 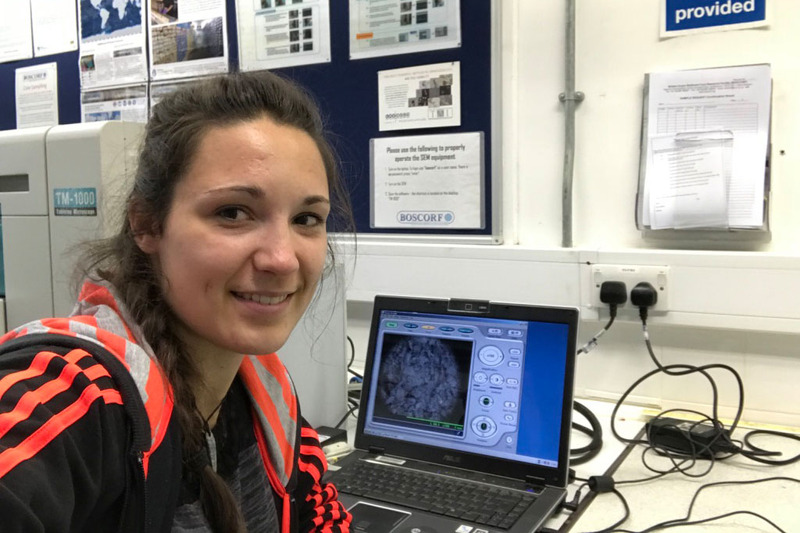 After a first, shorter secondment at NOCS and the University of Southampton in February, Ricarda returned to Southampton in May to continue her work on µCT (micro-Computed Tomography) data, focussing in particular on data from the AFEN Slide (UK) and the FInneidfjord Slide (Norway). 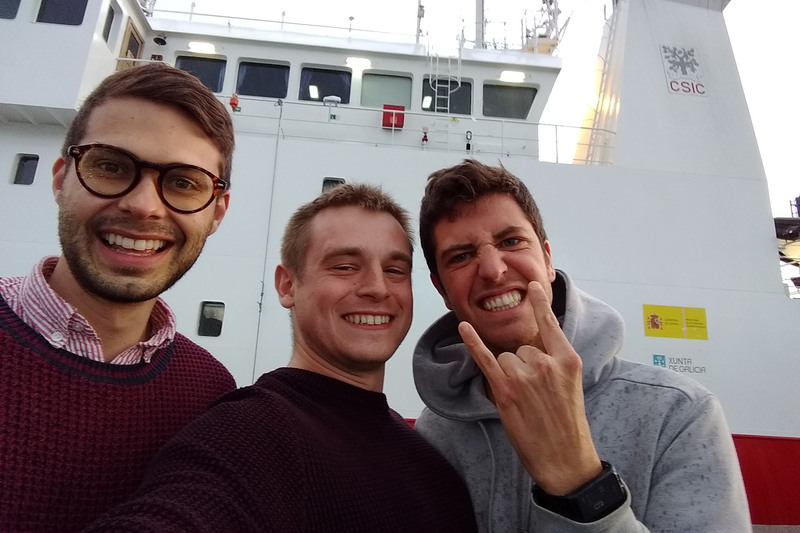 To acquire data for their individual ESR projects, William, Jonathan and Davide recently participated in Leg 1 of the INSIGHT cruise in the Gulf of Cádiz. Read more about their experience and tasks during the expedition and the scientific impact for their own research. They imaged and sampled the seafloor and its subsurface to better understand the earthquake and tsunami hazard in the Gulf of Cadiz. 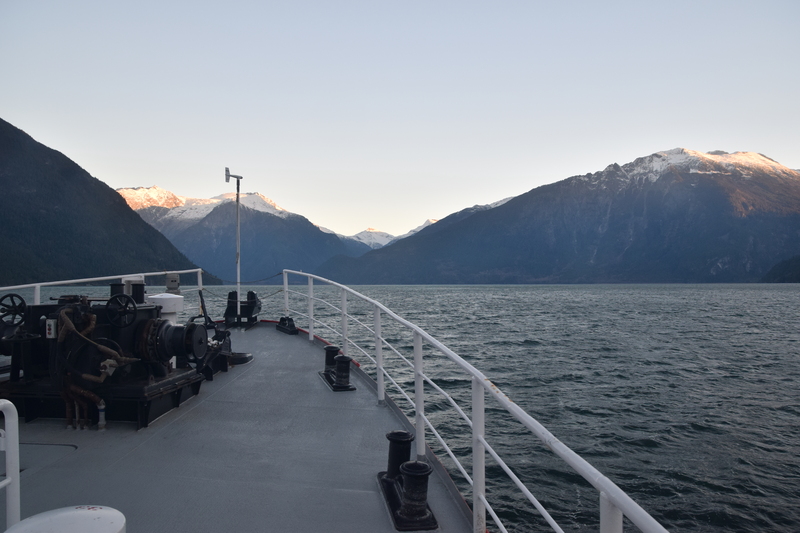 Kate and Maarten were fortunate enough to be part of a major coordination effort to explore turbidity currents in two fjords in British Columbia, Canada. They share their experience on board of CCGS Vector exploring these fascinating submarine mass flows in an equally fascinating landscape. 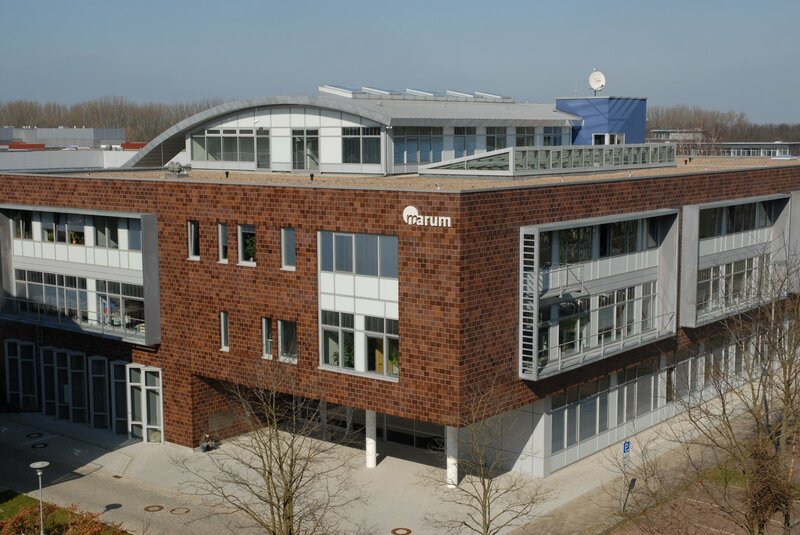 From 23rd to 27th April, a group of seven SLATE ESRs participated in the ECORD Training Course 2018, which took place at MARUM – Center for Marine Environmental Sciences, Bremen. 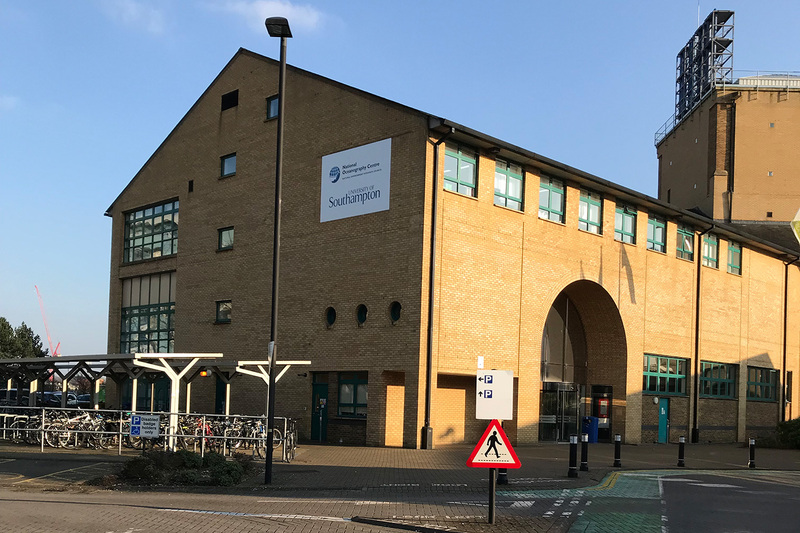 This one-week course provided a "Virtual Ship Experience" and prepared the young researchers for sailing in an offshore drillship expedition. 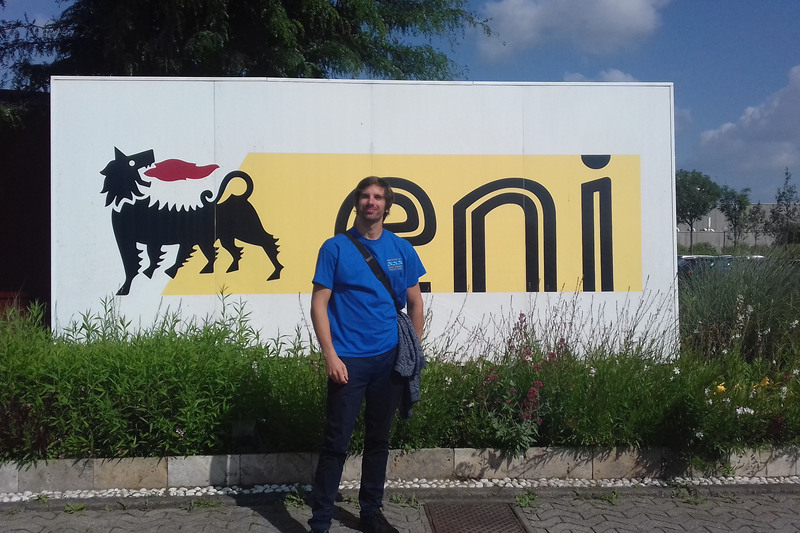 After my participation to the conference in Victoria (British Columbia), I had the chance to accompany my supervisor (Marzia Rovere) and 3 people from ISMAR to the Eni laboratories in Milan. 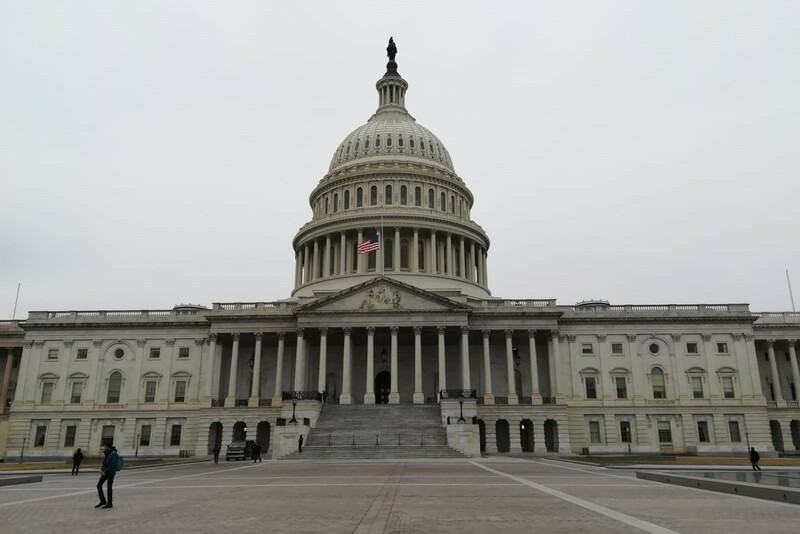 As they are involved in the SPOT Project (Potentially Triggerable Offshore Seismicity and Tsunamis, ABSTRACT), they had a special authorization to access the data room for a limited time (2 weeks). My supervisor made the demand if I also could have the access to some of the data for my PhD. 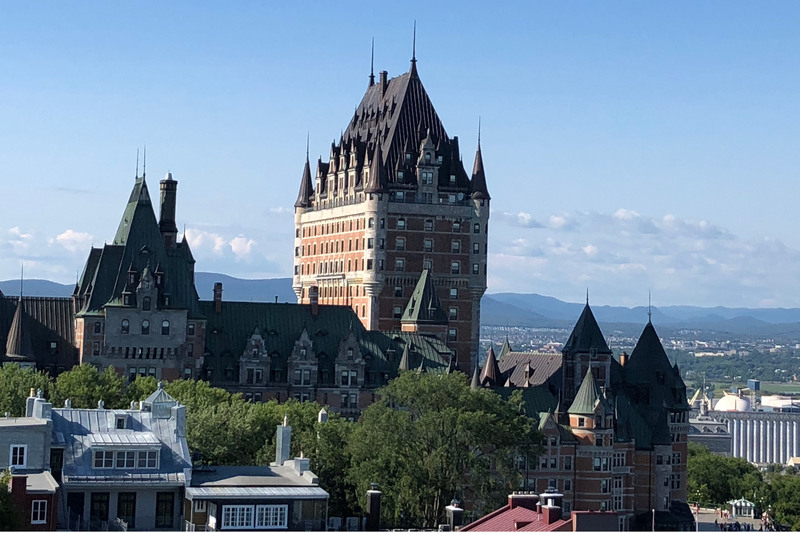 Rachel, Tugdual and Maddalena share their experience of the 8th International Symposium on Submarine Mass Movements and Their Consequences (ISSMMTC) hosted in Victoria, Canada! 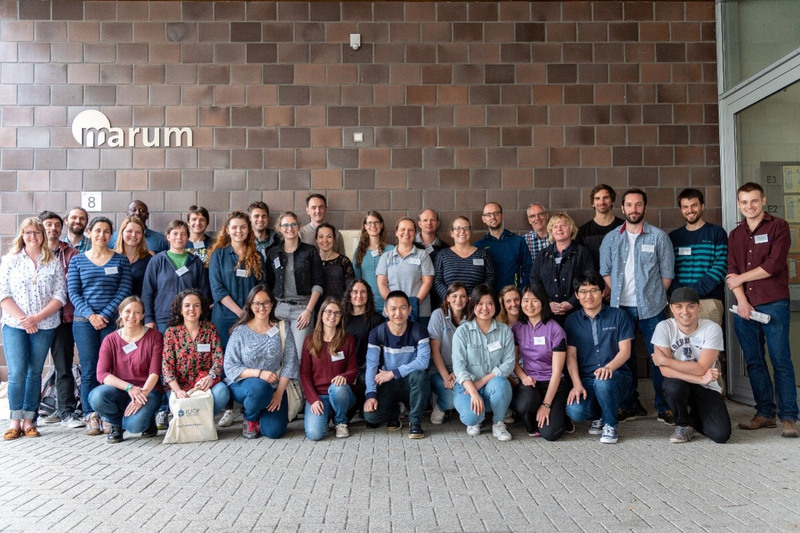 This bi-/triannual conference supported by UNESCO's International Geoscience Programme (IGCP) was a great opportunity for our young scientists to come together and discuss the latest in the growing field of submarine landslide research. In my PhD project, I investigate factors that pre-condition submarine slopes to fail. I focus on the characterisation of the material near the basal failure planes of different slides and the material’s behaviour prior and during the initial stages of slope failure. The processes occurring prior and during failure are still poorly understood, as they cannot be directly observed or monitored, at least not on a grain-scaled level. 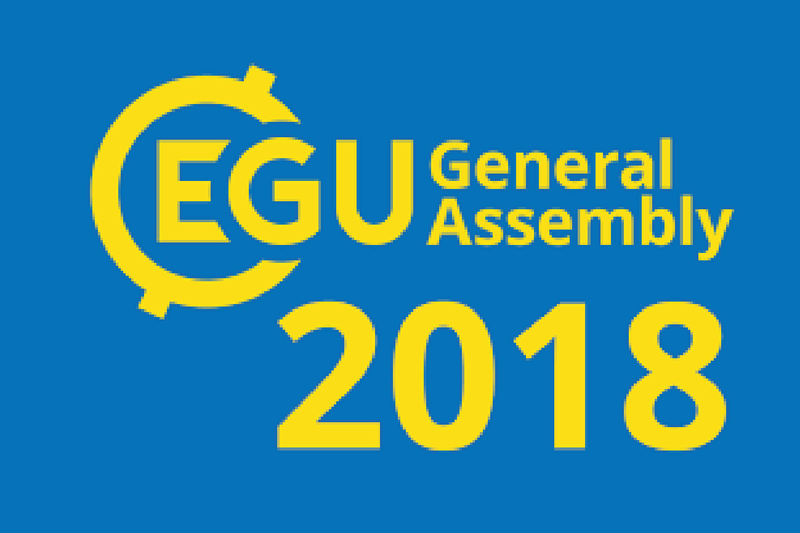 The European Geosciences Union (EGU) is the biggest meeting of geoscientists in Europe. During 1 week, more than 15,000 scientists gathered to exchange and to present their work in front of the worldwide scientific community. This conference was my first participation in a conference and was a great opportunity to present my work and get feedbacks. 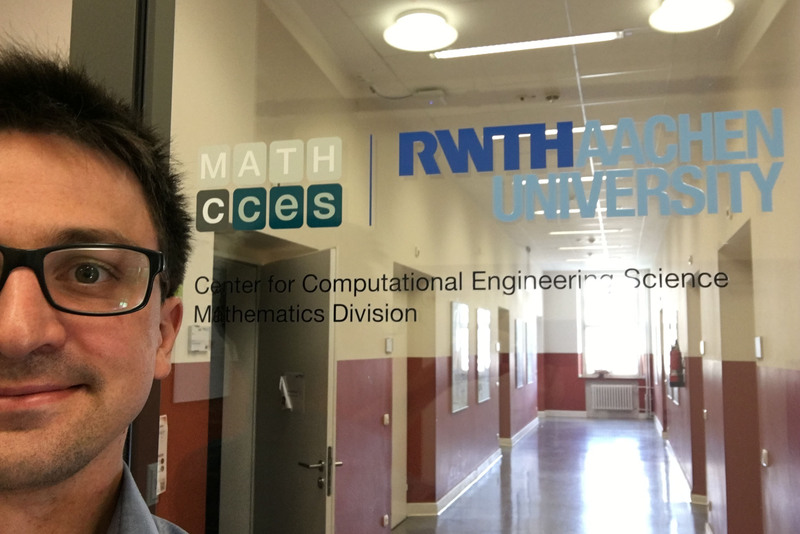 I am a doctoral student within the project SLATE and am based at Christian-Albrechts-University in Kiel, Germany. 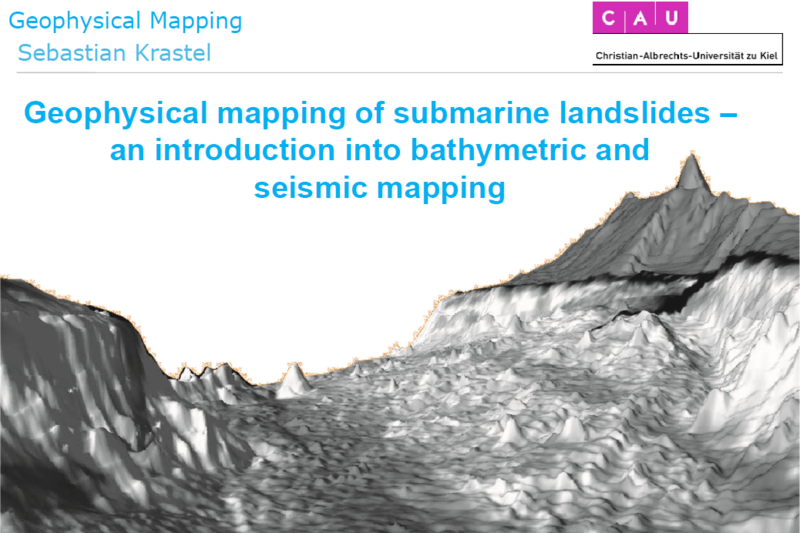 My research is primarily centred on the quantitative description and analysis of submarine landslides using geophysical and hydroacoustic data. Compared to their terrestrial counterparts, submarine landslides are poorly studied; this is a direct consequence of lower (and more variable) data resolution compared to terrestrial data, and artefacts related to the overlying water column. These factors make quantitative analysis of submarine landslides challenging, and so the majority of studies rely on a qualitative approach. 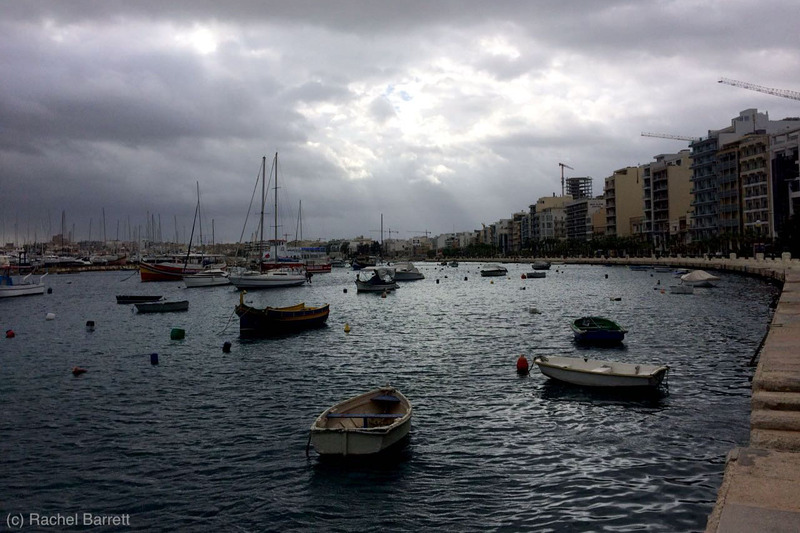 The European training network SLATE brings together young scientists that are focused on studying submarine landslides, which are underwater mass movements. We use different methods to dig deeper into the questions of why, how and when landslides happen. 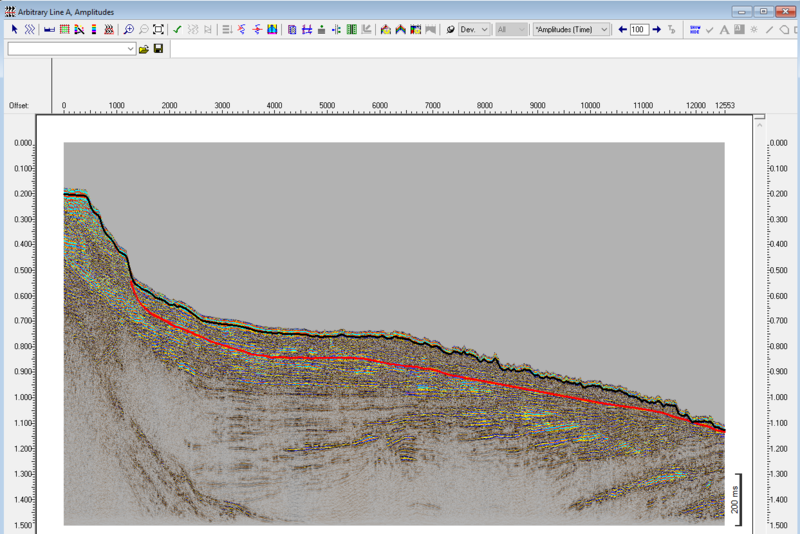 My preferred method is numerical modelling in which I use computer programs to rebuild an underwater slope. Then I run a number of tests to figure out what makes this slope unstable and eventually break. The goal of this approach is to draw conclusions for landslides in general. 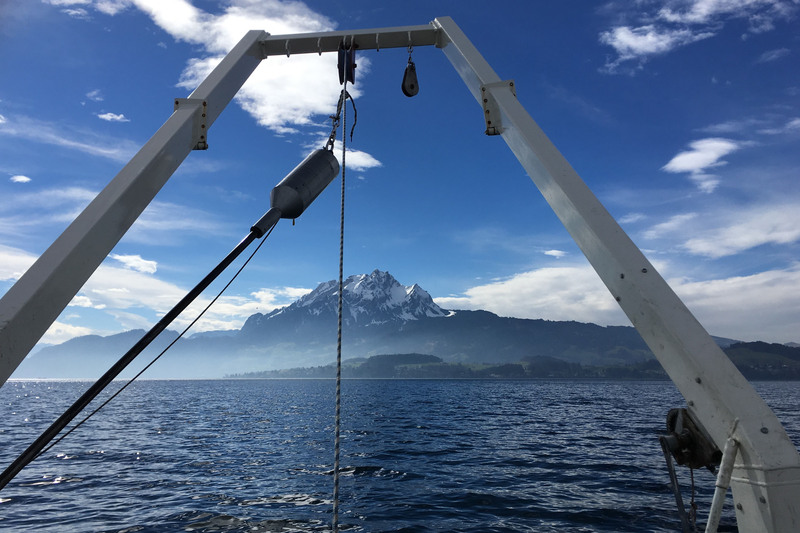 In March 2018, Maddalena took part in a cone penetration testing (CPT) and core campaign in Lake Lucerne, Switzerland. 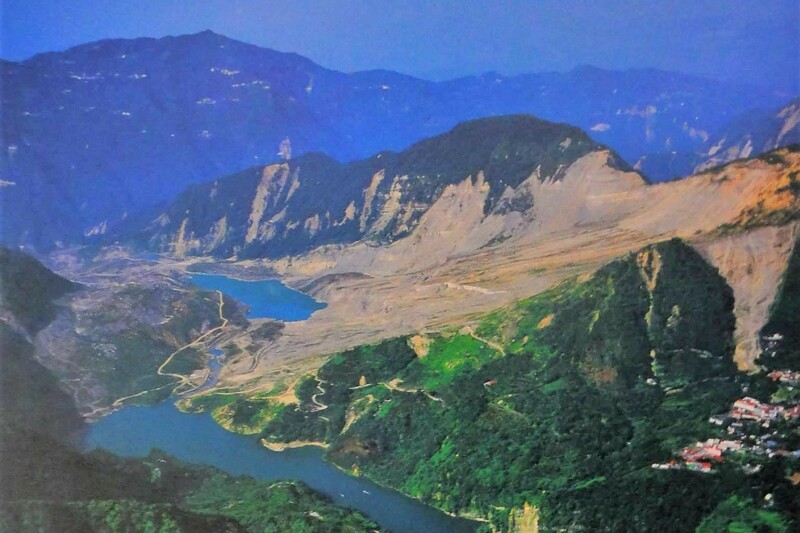 Since one of the aims of her project is to focus on the geotechnical characterization of landslide deposits in lake basins, using Lake Lucerne as natural laboratory has been a great opportunity for her to approach the CPT method and to acquire useful data on which she will work in the next years. Geophysical mapping techniques provide an essential tool for the discovery of natural energy resources (oil/gas), but are widely applied to scientific problems such as climate research and hazard/risk analysis as well. 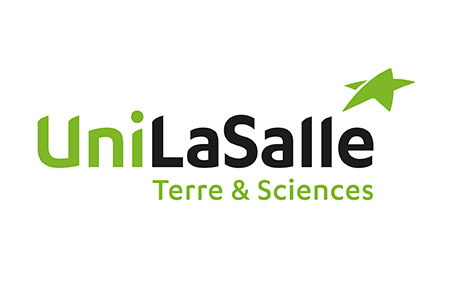 Acquired datasets proof especially valuable in the recognition of submarine landslides and provide fundamental help in the interpretation of their mechanisms. The course gives a general introduction into standard mapping techniques and provides examples for their practical application at sea. Type datasets from various locations are used as examples for interpretative analyses followed by a practical excercise. Generic Mapping Tools (GMT) are a freely available package containing numerous command-line programmes useful for generating a wide range of figures. As the name suggests, the tools are particularly well adapted to creating maps or other geo-referenced plots and come with a comprehensive collection of free GIS data, such as coast lines, rivers, political boundaries and coordinates of other geographic objects. The course gives a general introduction into the tools application and focusses on a workflow for the production of simple and advanced maps (e.g. for publications, proposals, talks, cruise reports). 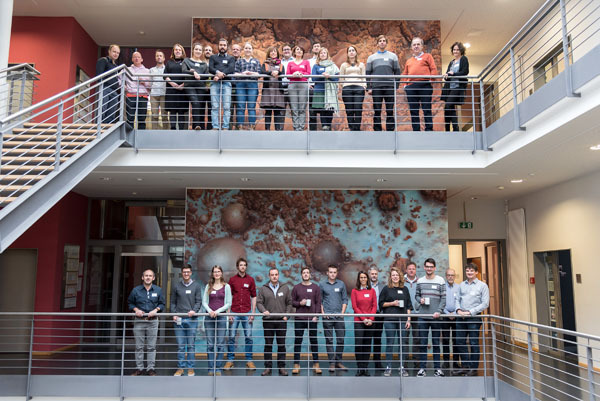 ESRs, PIs, associated partners and invited international experts came together in November 2018 for the 1st Annual SLATE Workshop, which took place at MARUM, University of Bremen, Germany. 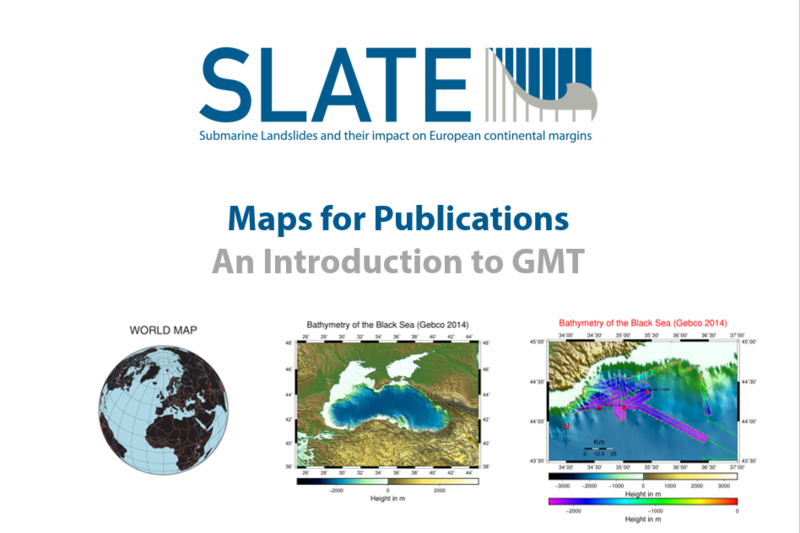 The kick-off workshop introduced and discussed research and training aims within the SLATE project, while providing the novice ESRs with a state-of-the-art review of submarine landslide research as well as technical workshops and expert courses to create a common working base. Further emphasis was put on the establishment of contacts between the partners and the development of strong research synergies that will continue throughout (and hopefully beyond) the life cycle of the SLATE project.